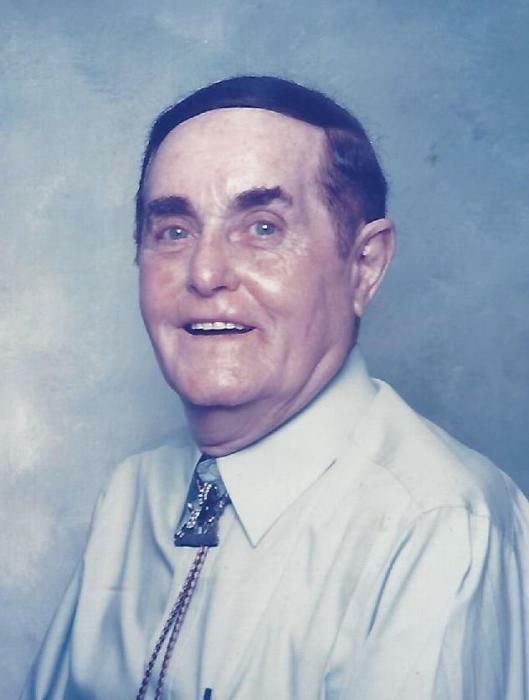 William Pless Orr, 94, of Maryville, TN, formerly of Robbinsville, NC passed away early Thursday, February 7, 2019 at Brookdale Sandy Spring Assisted Living Center in Maryville, TN. A native of Graham County, NC, he was the son of the late A.J. and Bessie Crisp Orr. In addition to his parents, he was preceded in death by his son, Rex Randall Orr, and his sister, Hildred Orr Collins. Together, with his family, he owned and operated Mountain View Motel and Restaurant and began selling “Orr’s Smoky Mountain Pure Honey” in Robbinsville, before moving to Maryville in 1963. His career selling honey earned him the nickname “The Honey Man.” He began the Edge-O-Town Mobile Home Community in Maryville which the family still operates today. He retired from the honey business in 1984. He is survived by his sons, William Chester Orr, James Lester Orr and his wife, Gay, and William Tex Orr and his wife, Regina, all of Maryville, TN; his brother, Joe Ted Orr of Robbinsville, NC; and his grandchildren, Courtney Nicole Orr, Alex Justin Orr, Saisha Ann Jackson, and Ava Marie Orr. Funeral services will be held at 3:00 pm Sunday, February 10, 2019 at the Townson-Smith Chapel. Reverend Daniel Stewart will officiate. The family will receive friends from 1:00 to 3:00 pm Sunday at the Chapel, prior to the service. Burial will follow at Lone Oak Baptist Church Cemetery. Townson-Smith Funeral Home is honored to be serving the Orr family. An online register is available at www.townson-smithfuneralhome.com.